Furniture Medic has long been the most highly trusted name in the industry when it comes to repairing and restoring old furniture. Furniture Medic by Bob Llorente lives up to the reputation of the franchise with quality furniture restoration services in Baytown, TX. 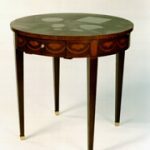 Repairing badly damaged furniture and breathing new life into tired old pieces requires rich experience, supreme craftsmanship, and meticulous attention to the details. Our skilled technicians have the extensive training and the professional know-how needed to ensure high quality and efficient customer service. What’s more, they have adopted a subtle individual approach that invariably guarantees excellent final results. At Furniture Medic by Bob Llorente, we not only prolong the life of your furniture but also transform it into an exquisite work of art, thus protecting your investment and enhancing the overall value and appeal of your property. Our main services include wood furniture refinishing and repair services, kitchen cabinet refinishing and refacing, antique furniture restoration, disaster furniture restoration, and commercial furniture restoration and repair. We can perform the desired repair and restoration works on-site for your convenience or take your worn out furniture to our fully equipped workshop in Baytown, TX, for more delicate and complicated restoration procedures. Our highly efficient techniques yield the best possible results according to your needs and preferences. We use state-of-the-art equipment and innovative restoration methods to effectively repair all types of damaged furniture, give an entirely new look to your tired items, or reverse the effects of time on older pieces without altering their original character. Furniture Medic by Bob Llorente gives you the chance to renovate your home décor without replacing your cherished furniture pieces. Your high quality tables, dressers, desks, etc. will be fixed and revitalized according to the latest fashion trends for just a fraction of the cost of getting new modern pieces. Using our services is your most beneficial and affordable option when it comes to preserving treasured family heirlooms or upgrading your home’s interior without giving up the comfort of your favorite old furniture. Call us at (409) 356-4553 for furniture restoration and repairs in Baytown, TX and the nearby regions. Durable and easy to maintain as it may be, wood furniture inevitably starts showing clear signs of wear and tear over the years. Vulnerable to temperature changes and moisture and susceptible to surface damage such as scratches and dents, it may lose much of its original charm and appeal with time and heavy usage. Furniture Medic by Bob Llorente provides wood furniture refinishing and repair services in Baytown, TX, to fix damaged or worn out wooden pieces and restore them to an excellent condition. We can effectively repair broken parts, take care of surface damage, and refinish a piece to its original look (or give it a completely different appearance, if you wish). You can choose from a great variety of styles and colors to make sure that your renewed furniture will match the rest of your home décor, as well as your aesthetic preferences and practical needs. Kitchen cabinets are among the most heavily used furniture pieces in a home – they not only provide a suitable storage space for dishes, kitchen utensils, and pantry items, but also offer a convenient surface for food preparation and other common kitchen activities. This consistent use inevitably results in minor surface damage (such as scratches and gouges) and broken parts (drawers, door handles, etc.). Besides, persistent stains may appear on the surface, the colors may fade, and the finish may wear out with time. The look and design of the kitchen cabinets, however, greatly affect the overall appearance of the room. Therefore, immediate measures are required to restore the appeal and value of your kitchen. Full cabinet replacement though is very difficult and intrusive, not to mention expensive. Furniture Medic by Bob Llorente provides an efficient and affordable alternative – kitchen cabinet re-facing and restoration. We offer our quality services to homeowners in Baytown, TX, and the surrounding areas to help them restore the full functionality and the charming look of their kitchens. 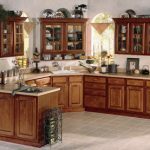 We can repair or replace damaged cabinet doors, restore drawer fronts without removing the cabinet boxes already installed in the kitchen, and refinish worn out cabinets to revitalize their appearance. You will be impressed with the results. Antique furniture pieces are extremely valuable, not only because of their exquisite workmanship and high market price but also because of their unparalleled sentimental worth as keepers of cherished memories and family traditions. Therefore, it is of paramount importance to entrust the delicate task of restoring an antique to reliable and skillful professionals who will be able to preserve the integrity and the original character of the piece. 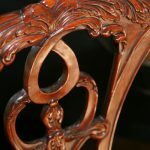 Furniture Medic by Bob Llorente provides first-class antique furniture repair and restoration services in Baytown, TX, to take efficient care of damaged or worn-out antiques. We use highly effective, yet minimally invasive techniques that yield excellent results without affecting the status of an item as an antique or decreasing its inherent value. Our experienced craftsmen combine proven restoration methods with a subtle individual approach to preserve the unique character of every single piece and ensure the favorable outcome of the restoration process. Natural disasters and acts of vandalism usually result in considerable property damage that affects not only the structural components of a home, but its furnishings as well. 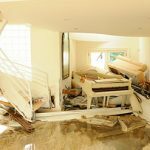 Oftentimes, however, it is possible to salvage the damaged furniture if you take quick and efficient measures immediately after the disaster. Specialized restoration services are required to successfully remediate the smoke, fire, or water damage sustained by your furniture. The experts are able to repair even badly damaged pieces and restore them to a good condition, so that you can use your cherished furniture for many years to come. Furniture Medic by Bob Llorente provides efficient and affordable disaster furniture restoration services for homes and businesses in Baytown, TX. Our experienced craftsmen can salvage your treasured furniture pieces and help ensure your comfort and peace of mind after a disaster or act of vandalism. Furniture in commercial settings plays a significant role in the business environment – it provides comfort to your clients, partners, and employees; adds elegance to the ambience; and greatly affects the overall impression people get of your business. Therefore, it is of paramount importance to keep your commercial furniture clean, aesthetically appealing, and in good repair – a symbol of your prosperity and trustworthiness. 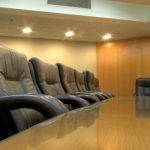 Maintaining the excellent condition of commercial furniture pieces, however, is quite a challenge as they are subject to heavy daily use which inevitably results in extensive wear and tear and a lot of damage. Furniture Medic by Bob Llorente provides expert commercial furniture restoration services for businesses in Baytown, TX. Our skillful craftsmen use innovative techniques and cutting-edge equipment to efficiently repair and restore bookshelves, tables, chairs, desks, and other worn-out or damaged commercial furniture pieces. All the work can be performed outside your business hours to minimize intrusion and ensure your comfort. You can contact Furniture Medic by Bob Llorente at (409) 356-4553 for first-class furniture restoration and repair services in Baytown, TX, and the surrounding areas.